UN investigators say the Rohingya people are still facing oppression, violence and the threat of murder at the hands of Myanmar soldiers. In essence, the genocide perpetrated against the Muslim-majority group in the predominantly Buddhist and heavily militarized country is still going on. Marzuki Darusman, chair of the UN fact-finding mission on Myanmar, said at a press conference this past week that between 250,000 to 400,000 Rohingya who remain in the country face “an ongoing genocide”. Allegations of systemic human rights abuses surfaced last year. We already knew that the Rohingya were denied citizenship when Myanmar refused to accept the ethnic group, despite generations of Rohingya having lived within Myanmar. 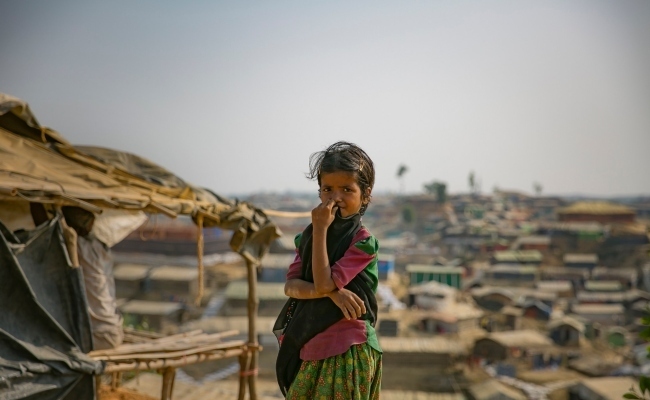 As thousands of Rohingya fled the country across the border into Bangladesh last year, the true extent of this denial of rights became abundantly clear. There, Rohingya told stories of intimidation, of Myanmar soldiers burning down their villages, and of mass killings. Since then, independent fact-finding and a plethora of eyewitness accounts have corroborated reports of extreme physical violence designed to achieve one purpose: to eradicate the Rohingya within Myanmar’s borders. China, Myanmar’s allies, and Russia were among the nations to raise objections to the report, something that has become typical as each attempts to frustrate the process of oversight into their collective human rights abuses. Due to the way the International Criminal Court works and the system that feeds it, it is highly unlikely that Myanmar officials will go before the Court precisely because members of the Security Council have the power to veto such a move. China would most certainly do so. However, as Al Jazeera points out, because many of the Rohingya have fled to Bangladesh, a country that readily submits to the Court’s jurisdiction and arbitration, there is scope for continuing investigations into these abuses through other channels. The report detailed around 10,000 deaths at the hands of Myanmar soldiers. While the report was quick to acknowledge that there has been violence on both sides of the ethno-religious divide, the report found that the two are in no way equivalent. Myanmar’s aggressive, violent and even murderous tactics have left many Rohingya with little choice but to fight or flee. In March of 2018 Reuters revealed details of a harrowing massacre in Rakhine state that claimed the lives of at least 10 men. The military’s version of events was that the men were among a 200-strong terrorist organization, however Buddhist villagers living alongside the Rohingya cast doubt on this, saying they had not witnessed violent actions on the parts of the men. Myanmar’s officials called this summer’s report “flawed, biased and politically motivated”. Ang San Suu Kyi, Myanmar’s figurehead, has been heavily criticized for her persistent refusal to discuss the Rohingya crisis and her denial that there are human rights atrocities occurring within Myanmar. There was some small amount of good news in the latest press conference. UN officials noted that infrastructure and basic provisions have been restored in several areas the Rohingya once called home within Myanmar. However, the officials warned, Bangladesh still could not return the Rohingya to their homes due to the threat of violence. Demand Myanmar’s leaders end their genocidal campaign against the Rohingya by adding your name to this Care2 petition. Photo credit: UN Women/Allison Joyce. And never will unless the world stands up against this murder. Mankind MUST grow up and realize we are one family - a garden of different plants and flowers but ONE garden. As hellish as that is, Hitler did the same in Germany, and trump will do the same here -- if he has the chance. VOTE BLUE to gain some control.